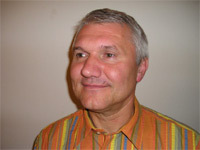 Rudolf Brázdil was born in 1951 in Brno (the Czech Republic). He graduated in geography and mathematics in 1974. Recently he is a professor of the physical geography at the Institute of Geography, Masaryk University of Brno, the Czech Republic. He is doing research in instrumental and historical climatology with a special attention to climate variability and climate change as well as to climatic anomalies and hydrometeorological extremes, including their impacts. He has published more than 270 scientific papers and books (more than 60 in journals with the impact factor on WoS) from the above mentioned research fields. In 1985, 1988 and 1990 he participated in polar expeditions to Spitsbergen. He had many stays on different universities and institutes abroad and in 1992/1993 was an invited professor at the ETH Zürich, Switzerland. He is a leader of several scientific projects in the Czech Republic and was a leader of Documentary and instrumental data work package in the EU 6th FP project MILLENNIUM (2006-2010) oriented on climate reconstructions of the past millennium in Europe. He is a member of the European Society for Environmental History and the European Geosciences Union. Historical climatology as a science situated on the interface of climatology and (environmental) history working with documentary evidence is defined. Basic milestones and researchers with the most significant influence on its development in the past are discussed. Characterisation of the recent state focuses on climate reconstruction and hydrometeorological extremes during the past millennium in Europe. It is based on instrumental, documentary and natural proxy data. The paper concentrates on documentary evidence which includes direct and proxy data about weather and related phenomena. Several groups of such evidence (narrative written records, visual daily weather records, personal correspondence, special prints, official economic records, newspapers, pictorial documentation, epigraphic data, early instrumental observations, early scientific papers and communications) are used to create series of weighted monthly temperature and precipitation indices in the scale from -3 to +3 which are used for climate reconstructions. Also (bio)physically based proxies reflecting usually any systematic economic activity (e.g. vintage or harvest days) are used for such reconstructions. These reconstructions are methodologically based on application of the standard paleoclimatological method (calibration and verification procedures) working with the overlap of documentary-based series and instrumental measurements. Going out from climate paradigm of the past millennium (Medieval Warm Period, Little Ice Age, Recent Warming), various European climate reconstructions from the past millennium are presented. The paper shows also examples of the analysis of droughts, floods, windstorms, tornadoes and hailstorms in Central Europe based on documentary evidence from viewpoint of their occurrence, severity, seasonality, meteorological causes, perception and human impacts during the past millennium. Finally, future research perspectives of historical climatology are presented and discussed. Susan Flader is professor emerita of history at the University of Missouri-Columbia, where she has taught American and world environmental history and the history of Missouri and the American West. 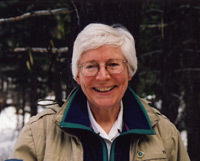 She has published several books on the career and thought of Aldo Leopold, including Thinking Like a Mountain (1974/1994) and The River of the Mother of God (1991), and other works such as The Great Lakes Forest, Exploring Missouri’s Legacy: State Parks and Historic Sites, and Toward Sustainability for Missouri Forests, as well as numerous articles. She is a founder of the American Society for Environmental History and served as president (1995-1997). She has also served numerous terms as president of the Missouri Parks Association, chair of the Aldo Leopold Foundation board of directors, vice-president of the L-A-D Foundation (owner of the 150,000-acre Pioneer Forest), secretary-treasurer of Audubon Missouri, and on the boards of numerous other national and state organizations, including the National Audubon Society, the American Forestry Association, and the Forest History Society. Flader has received numerous research grants and national and state awards for publications, professional service, and conservation action. She has lectured widely throughout the United States and abroad, especially in China, Finland, South Africa, and other countries in Asia, Europe, and Latin America. Aldo Leopold’s ethical philosophy is gaining increased traction in the United States and elsewhere in the world in response to twenty-first century concerns. Grounded in his experience and reflections as a forester, wildlife ecologist, and conservationist, it was expressed most compellingly in his classic volume of natural history vignettes and philosophical essays, A Sand County Almanac, which was accepted for publication just prior to his death in 1948. Though his seminal concepts of land health and a land ethic would seem to be land-based, and have often been interpreted as such, in fact he was concerned throughout his career with the integral relationships between soils, waters, plants and animals. A case can be made that his ethical philosophy grew out of his concern for the integrity of watersheds and river systems. This presentation will explore the increased reach of the Leopold philosophy in our time and its applicability to problems of marine as well as terrestrial and fresh-water ecosystems. After briefly tracing his experiences with key rivers such as the Mississippi, the Blue, the Rio Grande, the Wisconsin, and the Gavilan, it will discuss his mature, ecosystem-based concept of land health and its connection to marine environments. The new fields of conservation biology and restoration ecology, as applied to aquatic as well as terrestrial ecosystems, took inspiration from Leopold. The presentation concludes with a discussion of growing interest in Leopold’s philosophy, including within ocean commissions and among marine ecologists who see the need for a science-based ethic to deal with mounting challenges to the health and sustainability of marine and terrestrial systems. Such an ethic, however, is not written but still evolving in the minds of a thinking community. 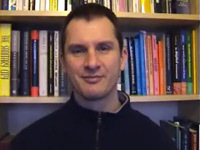 Stephen Mosley is Senior Lecturer in History in the School of Cultural Studies at Leeds Metropolitan University where he teaches social and environmental history. His research interests lie mainly in the field of urban environmental history. He is currently researching and writing on the following topics that explore changing human-environment relations: the early twentieth-century craze for sun and air; indoor environments, changing systems of heating buildings and sustainability issues; and a global-scale history of air pollution problems. His publications include: The Environment in World History (2010) and The Chimney of the World: A History of Smoke Pollution in Victorian and Edwardian Manchester (2001; paperback edition 2008). Right now, he is completing an edited book (with Geneviève Massard-Guilbaud) entitled Common Ground: Integrating the Social and Environmental in History. He serves on the European Society for Environmental History’s Summer School Committee and, in addition, he has just taken on the role of editor for the journal Environment and History. This paper explores the complex environmental relationships of coastal cities with their shorelines and the sea. Cities developed in coastal locations because they offered easy access to fisheries, trade and commerce, transport, attractive scenery and recreational opportunities. However, coastal cities have also been vulnerable to the natural hazards of hurricane-force winds, tsunamis and storm-surge/tidal flooding; and climate change will exacerbate flood risks in the future. Many of the world’s largest cities are situated by the sea (including 13 of its 20 megacities), and today in every continent – except North America – the highest share of urban dwellers live in coastal zones. Current concerns over the state of the world’s oceans –declining fish stocks, pollution by sewage, industrial and agricultural wastes, contamination by oil spills and plastic debris, and rising sea-levels – have attracted growing historical interest in the role that densely populated cities have played in the deterioration of coastal ecosystems and the marine environment. In this paper, using examples of different types of coastal cities from ports like Boston to leisure resorts such as Blackpool, I will examine how growing urbanisation, trade, industrialisation and tourism has impacted on shorelines and the sea over time. I will also discuss how communities have adapted to the challenges and risks of living in coastal cities. Exploring the environmental problems of the past provides an invaluable context for reflecting on those of the present. Helen M. Rozwadowski is associate professor of history at the University of Connecticut, Avery Point, USA. 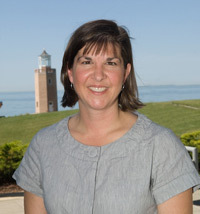 Her teaching includes courses in history of science, environmental history, and public history both at her campus and at the main campus in Storrs, CT. She also contributes interdisciplinary courses for the undergraduate Maritime Studies programme, which she directs. Her research focus is history of the ocean, a field she articulates as combining methods and questions from history of science and environmental history to investigate historical dimensions of the human relationship with the ocean. Her book, Fathoming the Ocean: The Discovery and Exploration of the Deep Sea (Harvard University Press, 2005), explores the mid-nineteenth century growth of scientific and cultural interest in the deep ocean and won the Watson Davis and Helen Miles Davis Prize from the History of Science Society, 2008 and the John Lyman Book Prize, National Society for Oceanic History, 2005. Her previous book, The Sea Knows No Boundaries: A Century of Marine Science under ICES (University of Washington Press, 2002), tells the history of twentieth-century marine science through the lens of the world’s oldest intergovernmental marine science organization. A member of the organizing committee for the series of Maury Workshops on the History of Oceanography, she co-edited the resulting volumes, The Machine in Neptune’s Garden: Perspectives on Technology and the Marine Environment (Science History Publications, 2004) and Extremes: Oceanography’s Adventures at the Poles (Science History Publications, 2007). Her current research focuses on the undersea exploration in the 1950s and 1960s, a time when the oceans held great economic promise, strategic importance and cultural interest. While the sea has long provided an arena for war and served as a font of resources, the postwar ocean came to be viewed through the cultural prisms of “frontier” and “wilderness.” Competition for real and perceived marine resources fueled a series of debates and unilateral national actions that resulted in the global enclosure of much of the sea. Perception that the ocean offered endless mineral and food resources intersected with ideas about the ocean, especially the underwater realm, as space available for work as well as play. While images of the ocean as wilderness instilled the first glimmer of awareness that the sea might not be as impervious to human activity as long believed, the frontier metaphor encouraged a mindset which assumed that engineering and technology offered the possibility of control of the ocean and its resources. Sverker Sörlin, born in 1956, has a PhD in the History of Science and Ideas from Umeå University and is currently professor of Environmental History at the Royal Institute of Technology, Stockholm. He has held visiting positions at Berkeley (1993), Cambridge (2004-2005), and at the University of Oslo (2006). From 2000 through 2003 he was the founding director of the Swedish Institute for Studies in Education and Research, SISTER. Among Sörlin’s recent publications in English are co-edited books, Knowledge Society versus Knowledge Economy (2007); Nature’s End: Environment and History (with P. Warde, 2009). 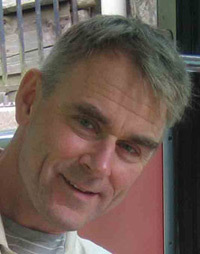 His articles on the history and sociology of the field and environmental sciences since the 18th century, on conservation, urban landscapes, research policy, and other topics have appeared in journals such as Minerva, Osiris, Journal of Historical Geography, Kursbuch, Environment and Planning A, Environmental History, European Historical Review, and his recent interdisciplinary work on history and global change science in Nature and Global Environmental Change. In Swedish he has authored or edited some 35 books. For his general history of European science and ideas 1492-1918, he was awarded the August [for Strindberg] Prize for the best nonfiction book of the year 2004. His most recent books are a literary essay on Darwin’s family life (2009) and a historically informed ethnography of competitive cross country skiing in Scandinavia (to appear in Swedish and Norwegian in January 2011). Along with his academic career he is engaged in environmental and research policy advice; he has served on the Swedish Government’s Research Advisory Board. He appears frequently in the public media and has conducted film and documentary projects for national radio and television. His current projects include research on the models of Arctic climate change and how they travel from the field to media and politics (with Nina Wormbs et al) and a book on environmental expertise with Paul Warde and Libby Robin. The Nordic countries have a great tradition of landscape painting flourishing in the late 19th and the early 20th centuries. This period has been much researched, presented in landmark international exhibitions such as “Northern Light” in Corcoran Gallery, Washington DC 1982 and “The Mystic North” in Art Gallery of Ottawa 1984. Perhaps most importantly it has become a standard feature of stylized national landscapes in the Nordic countries. This ‘discovery’ of the Nordic landscape – typically featuring encounters of land and water – coincided with major changes in real Nordic landscapes “out there”. Mechanized agriculture based on fertilizers was introduced along with scientific methods of cultivation. Landscapes were affected by natural resource extraction in mines, forests and bogs, and hydroelectric power was exploited. Industrial growth was rapid and urbanization increased. Infrastructures were built for railroads, car traffic, shipping, power transmission, telecommunications, and military defense. Nordic landscapes were in essence transformed from nature to technology. However, this transformation is conspicuously absent in contemporary landscape art. In this keynote lecture I will further examine this phenomenon. Why has this strand of landscape painting been so useful in nationalist iconographies? How is technology represented in it, if at all? Later in the 20th century Nordic countries excelled in building a special version of modernity with strong welfare states and a high level of science and technology in societies often admired by outside observers. Still, even in this period, the infrastructural landscapes and the science and the technologies that produced them, from cathedrals of hydropower to polluted soils and rivers – forming a landscape assemblage that I will call ‘the terrestrial modern’ – were not given much attention in the canonized national imagery, where pre-modern natural landscapes retained their hegemony. The ‘natural’ nationalist iconographies of the Nordic countries have shrouded disagreeable features of the region’s environmental history and left an important heritage of Nordic “technological sublime” to discover.